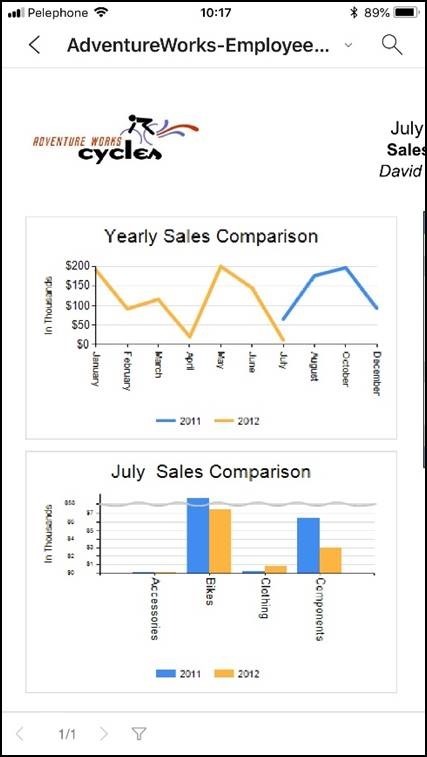 We have just announced a public preview release of paginated reports in Power BI service, that lets you upload paginated reports into the cloud service. 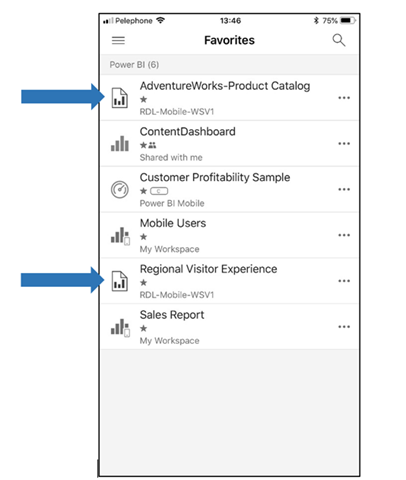 The Power BI Mobile team was working closely with the Reporting Services team to provide access to those reports from our mobile apps. 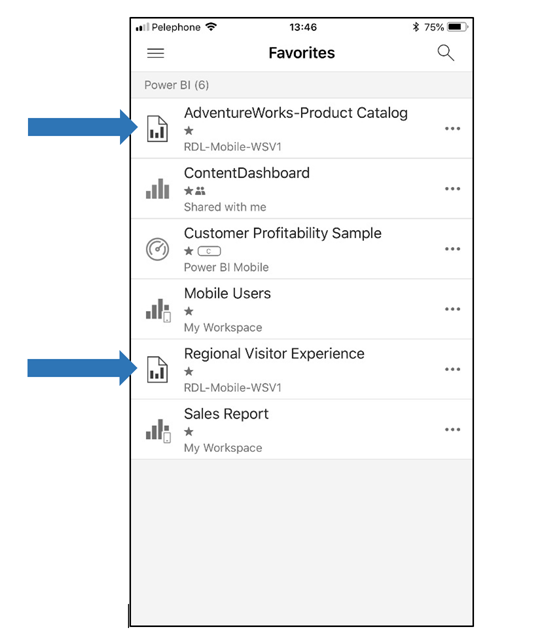 As in any other types of report, if you have access to a paginated report loaded into your Power BI environment, you will be able to access it from your mobile application as well. 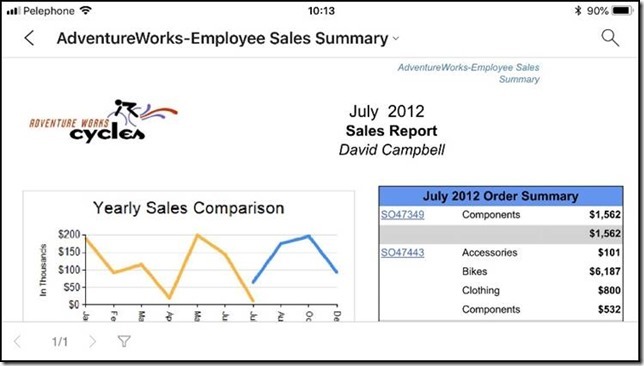 You will be able to see paginated reports in the reports list section in workspaces, favorites and recent. Paginated reports have different icon, to help you distinguish between PBIX and RDL reports. 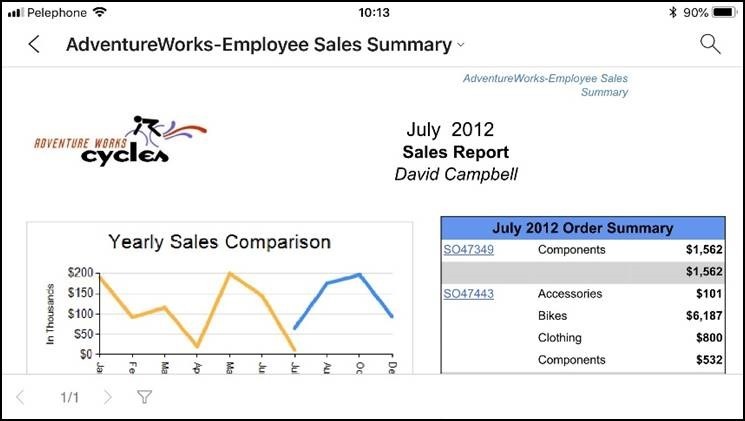 You can view your report in landscape or portrait, paginate between report pages, and filter the report based on its parameters. 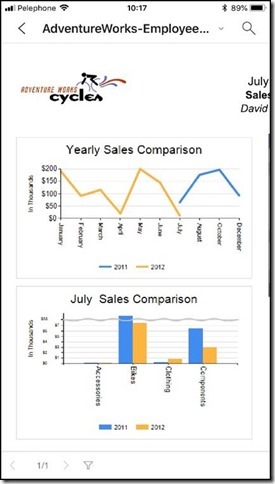 Paginate report is currently a preview feature, and is available in all platforms (Windows, iOS and Android). We will continue enhancing the experience in our future releases.